Didn’t have to venture on high seas and contend with choppy and perilous waves to get my wild Alaskan salmon to my kitchen. Thanks to those hard-working fisher men/women, I was able to fetch a can of this omega food in my hands. After combining all ingredients, eight patties were made. 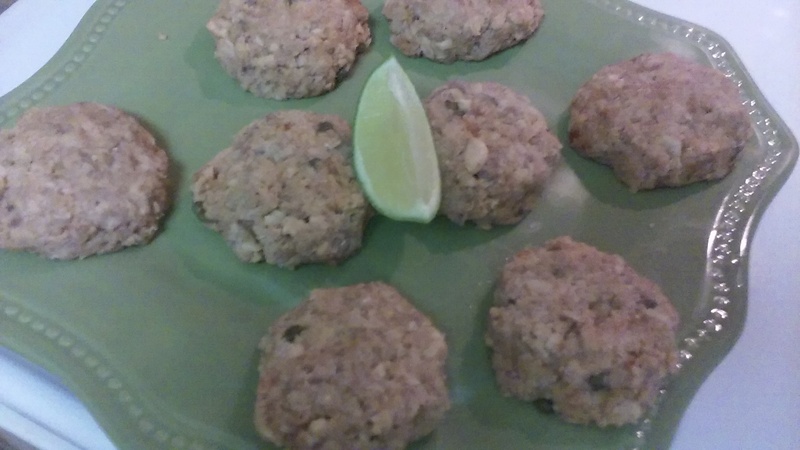 Patties were pan fried in a combination of canola/olive oil under low to medium heat until warmed and cooked on the interior and brown and flaky on the outside. Salmon patties were topped with a dollop of sour cream and finely chopped scallion.